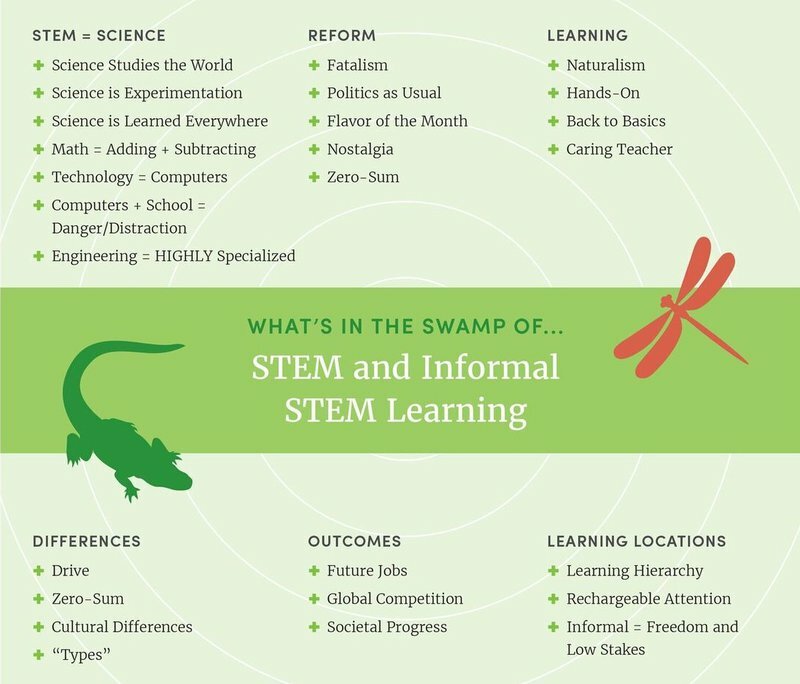 Understanding how Americans think and talk about learning — how it happens, where it takes place, and why it's important — helps communicators like you build a new narrative about afterschool and summer STEM programs. 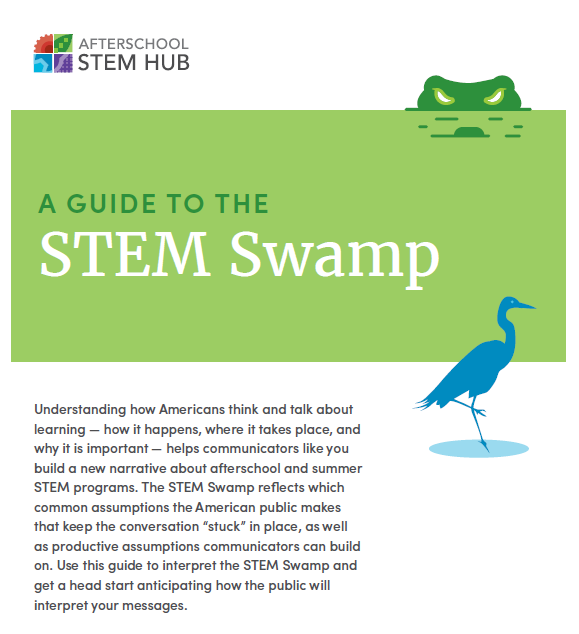 The STEM Swamp reflects which common assumptions the American public makes that keep the conversation “stuck” in place, as well as productive assumptions communicators can build on. Get to know what you're up against with these resources. 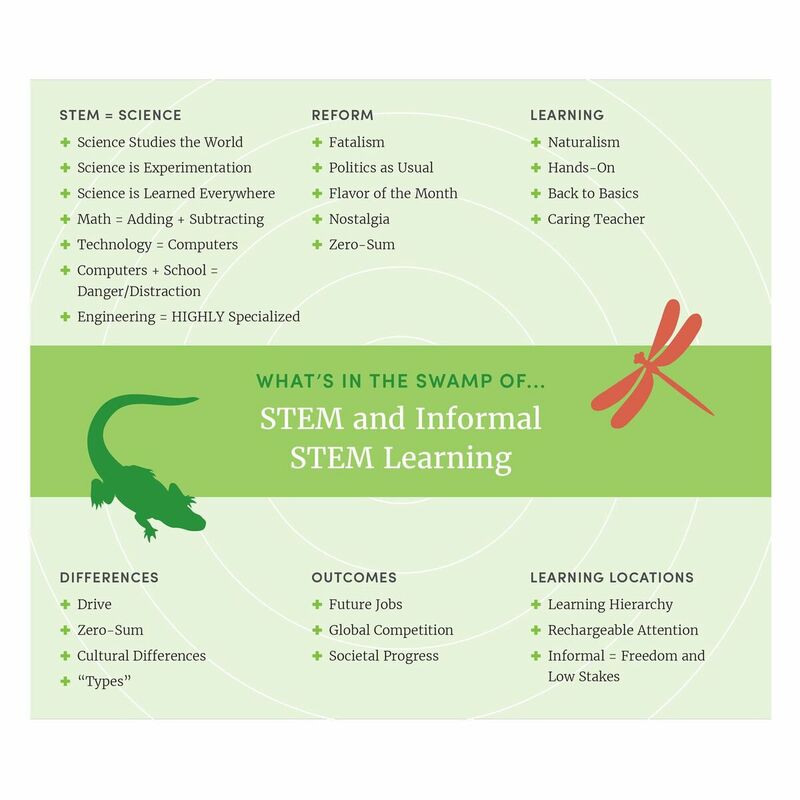 Tour the STEM Swamp with Nat Kendall-Taylor, CEO at the FrameWorks Institute!